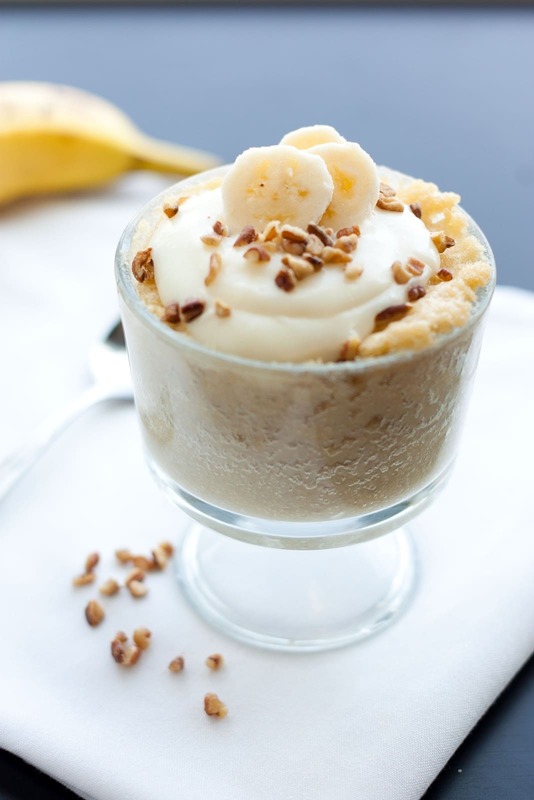 Banana Mug Cake! Can something this good really be this easy to make? Yes! Oh how I love mug cakes. Simple yet divine. 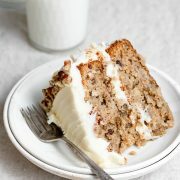 This cake is like banana bread meets vanilla cake, then it’s smothered in a rich cream cheese frosting and of course it’s finished of with some chopped pecans. If you haven’t gotten into the mug cake craze yet then now is the time. This mug cake it unbelievably satisfying! 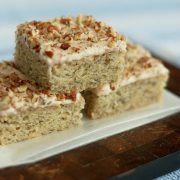 Curb that banana bread craving in a number of minutes and add a new recipe to your quick desserts recipe collection. Prepare Simple Cream Cheese Frosting according to directions listed, set aside. In a large mug, whisk together flour, sugar, baking powder, cinnamon and salt. Add in mashed banana, vegetable oil, applesauce, buttermilk, egg yolk and vanilla, stir mixture until well blended (being sure to mix in the flour at the bottom of the mug well). Cook mixture in the microwave on HIGH power for 2 1/2 - 3 minutes until done being careful not to overcook or your cake may be spongy. 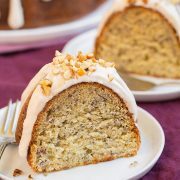 Dollop with Simple Cream Cheese Frosting, sprinkle with optional nuts then garnish with optional banana slices. 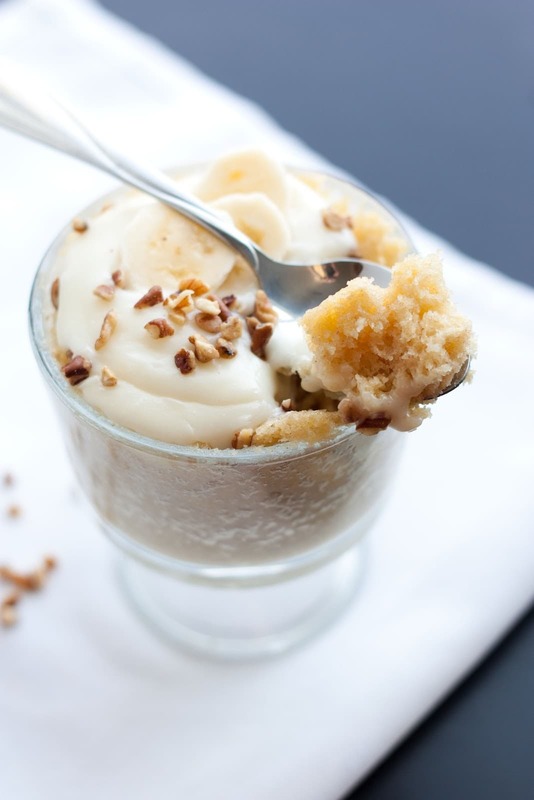 Enjoy warm (once mug cakes cool they aren't quite as good). In a small mixing bowl, using a fork, whisk together softened cream cheese and powdered sugar until smooth.